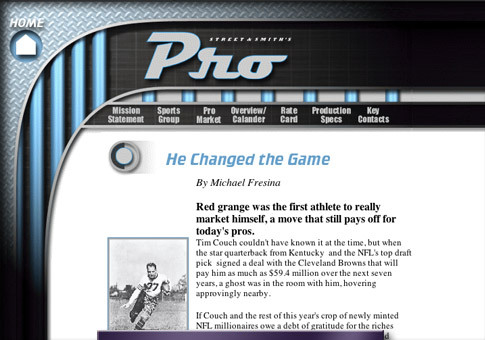 Site design for Street & Smiths Pro Magazine, marketed to pro athletes. Went for polished high-dollar, high-quality look. Working site, but not live. The magazine is no longer circulated.